"After college our weight had reached its peak. Eating out several times a week with little to no exercise was routine. As country bumpkins, we were taught from a young age to eat EVERYTHING that was on our plates and not to waste ANY food. Even if we were full we would continue to eat until our plates were clean. We were miserable and did not even realize how bad our bad habits were making us feel. Shortly after moving back to Perry County, our dad had a heart attack. Years of eating whatever he wanted, whenever he wanted and lack of exercise had finally caught up with him. He ended up being rushed to St. Mary’s in Evansville where he underwent a double bypass surgery. After the surgery we were told that it would be a couple of hours before they would take his breathing tube out and he would wake up. There were complications and, long story short, a couple of hours turned into 7 days. He ended up staying in the hospital a total of 12 days, 10 of which were in the critical care unit. During his stay we discovered that he has diabetes, high blood pressure, and high cholesterol. Shortly after Dad recovered, our mom went in for her yearly physical. They discovered that she is diabetic and also had high cholesterol. Her doctor also recommended she have a yearly mammogram. Another long story short, she had breast cancer that required surgery and treatment. Seeing what our mom and dad had gone through was like a wake-up call. We knew our lifestyles had to change, not only for us but for our parents as well. We needed to be there for each other to support and motivate one another. Joining the gym seemed like the next step. The elliptical was our best friend for a few weeks. Doing the same thing over and over tends to get old after a while. This became our problem. 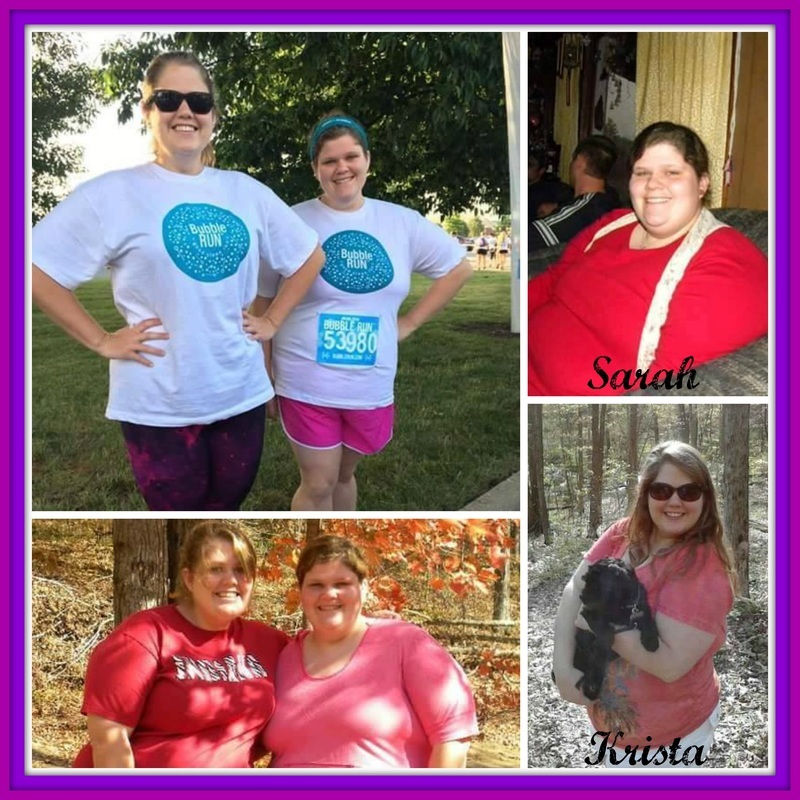 Luckily Sarah noticed that they were starting a new Biggest Loser season. Krista needed a little convincing to join but was soon persuaded.